Basic principle is: Structural pipe on both ends of the lateral respectively set two fixed length grating ruler, using the rodless cylinder to drive grating ruler near structure on both ends of the tube, using optical interference phenomenon of the structure of tube length measurement. It is characterized by high accuracy. But the gratings are expensive and difficult to maintain, and are sensitive to the effects of dust and ground vibrations. Camera length measurement is the use of image processing to achieve Structural pipe length measurement, the principle is in the structure of pipe conveying roller mounted on a certain period of equidistance series of photoelectric switch, light source and the camera on another section. When the Structural pipe passes through this area, the length of the Structural pipe can be determined according to the position of the image on the screen by the camera. 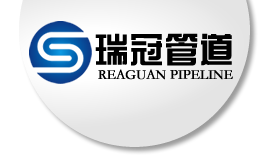 The feature is that on-line measurement can be realized, and the length data can be obtained by the Structural pipe when measuring the long area. Shortage is: if it's not the AD hoc illuminant, structural pipe is outside the interference of light, and use a special light source due to the structure of tube after tube after chamfering high brightness and reflection of the light is very strong, easy to cause the reading error. Principle of encoder in the oil cylinder is installed, the use of oil cylinder driving structure on the roller table movement, on the other side the installation of equidistance.